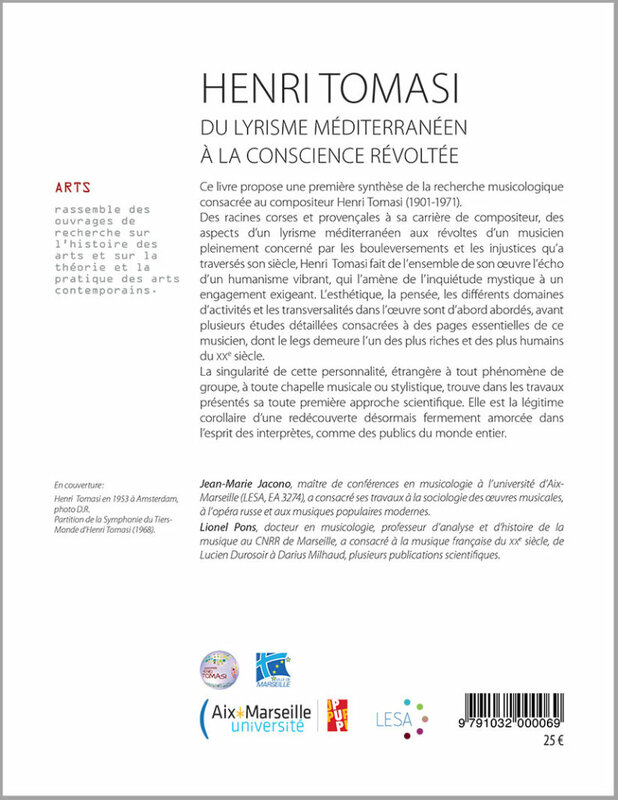 “Henri Tomasi, from Mediterranean lyricism to rebellious conscience”, such is the title of the book directed by Jean-Marie Jacono, lecturer in musicology at the University of Aix Marseille, and Lionel Pons, Ph.D. musicology, professor of analysis and history of music at the Conservatoire de Marseille. This 550-page book, published in 2015 at Presses Universitaires de Provence, is the fruit of the international symposium organized in 2013 by the University of Aix-Marseille’s Studies in Arts Sciences Laboratory, in collaboration with the French Musical Observatory (Paris Sorbonne University) and the Henri Tomasi Association. This symposium was held at the Alcazar in Marseille, birthplace of the composer, as well as in Ajaccio, because of its Corsican roots. Here is an injustice repaired because Henri Tomasi (born in 1901 – died in 1971) remains one of the poorly known musicians of the twentieth century. While some of his plays are performed all over the world, the composer’s important work has not been studied extensively. Only a biography written under the pseudonym of Michel Solis by his son Claude, whose I welcome here, allowed us to approach it. It is very difficult to summarize in a few words the colossal sum of these musicological researches. All the aspects of the composer, Mediterranean in the soul, as much as his complex personality are approached: his style, his musical language and dramaturgy, his exoticism, the influence of Corsica, of course, but also of Provence, his spiritual or even mystical dimension, his humanist commitment, his revolt against the injustices of his time. We discover with astonishment the tortuous path traveled, since his debut on the piano, accompanying the silent films to the cinema the Fémina, until his brilliant career of conductor, his active participation in the concerts diffused radio he directs, or else his film music … So many transversalities that lead us progressively to apprehend this personality “singular, demanding, alien to any phenomenon of group, any musical chapel” to use the terms of the authors. 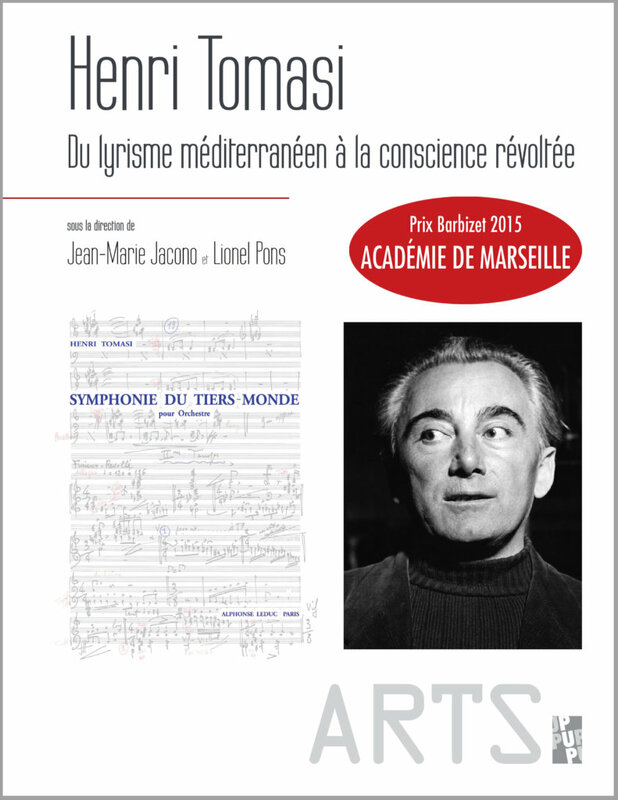 Also, the Academy of Sciences, Arts and Letters of Marseille has chosen to award the Pierre Barbizet Prize to MM Jean-Marie Jacono and Lionel Pons for this remarkable synthesis that they co-directed, the reference now on Henri Tomasi.